We first met Jeff when he darted across the bar toward us as the band was singing California Dreamin ‘ and yelled, “Your table definitely win the audience singalong award!” I smiled and high-fived him, then he ran back to his group of friends. Lyn and jesse just shook their heads and laughed. 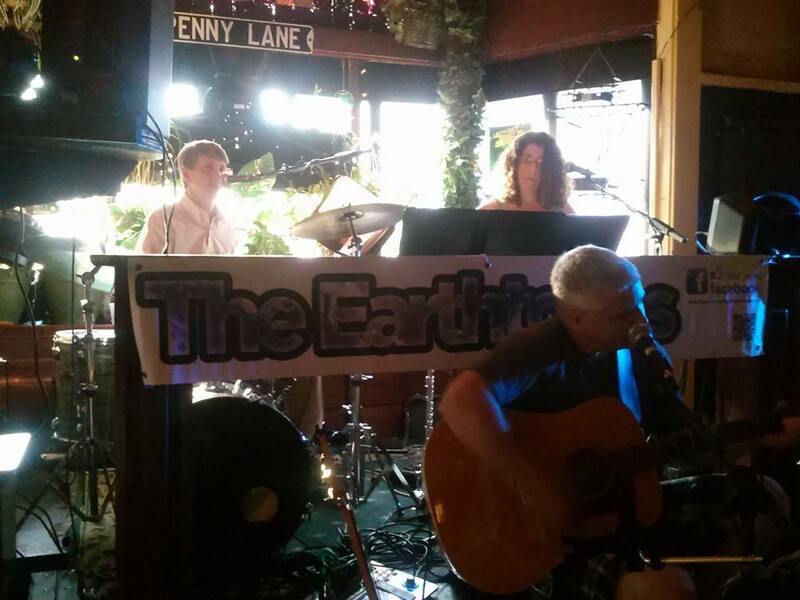 Some people in my life wonder why I travel to Johnny’s whenever I can to see The Earthtones. It’s not just because I would go almost anywhere to see Michael Walker (the drummer) play. It’s because you meet the nicest people at Johnny’s.